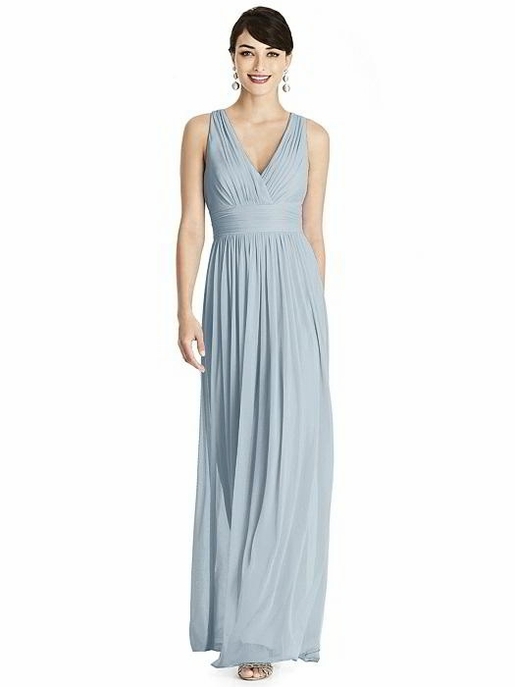 Alfred Sung style D744 - Full length Chiffon Knit dress with shirred crossover v-neckline bodice. Twist strap detail and cut out at back. Shirred skirt. DELIVERY TIMES ARE ESTIMATES AND CAN VARY!